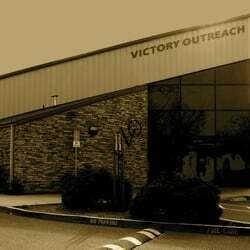 Our organization, Families Against Cult Teachings, Inc. (FACT), received complaints about the nondenominational Victory Outreach Christian Church located in Santa Rosa, CA. The church is a branch of theVictory Outreach International Church started by Sonny Arguinzoni in 1967 that has an estimated overall membership currently of about 30,000 congregants worldwide. Our expose focuses primarily on the church branch located at 4042 Sebastopol Rd, Santa Rosa, CA 95407, headed by Pastor Jose Guadarrama with the website address: www.vosr.org, but will include relevant information pertaining to the organization as a whole. This report details our research, investigation and analysis of the complaints received in an effort to educate and potentially warn others about what we believe is a destructive cultic church (based upon the information wereceived and the numerous complaints published online). Fraud regarding donation solicitation with intent to deceive was also mentioned in the complaints, in addition to welfare fraud. Allegedly Pastor Guadarrama makes all individuals in his rehab program sign up for food stamps and general assistance, and then confiscates the stamps to use however he sees fit. (Update: the Welfare Services Fraud Department of California investigated these claims and found them to be inconclusive.) To our knowledge according to the allegations, three rehabilitation church members have already received treatment at hospitals as a result of their experiences at this church, and family members worry that their loved ones have developed psychological issues such as negative changes in personality, warped sense of reality, depression and more, as stated below. “I went to Victory Outreach rehab on June 10, 2016. I went there because I needed help with my addictions. The first thing pastor Jose made me do is to go apply for General assistance and food stamps. I was getting $400 on EBT card which means money on a card from general assistance, but I was not allowed to use the EBT card, Pastor Jose took the ebt card away, and said it was for rent. And we were not allowed to use the food stamps. Jose took the food stamps away. We were only allowed to eat food that was donated, and the food most of the time was expired. We didn’t get nutritious, healthy food. Pastor Jose controls the food we are told when to eat, what to eat, they force me to fast 21-30 days when I was on discipline, can only eat vegetables. We never had fresh vegetables, only can vegetables from donation food. No breakfast! We get a lot of donuts through donations. We eat a lot of donuts. We are treated like slaves always working everyday Monday through Sunday. No days off. We get up at 5:00 am. When I was on discipline I got up at 2-3am to wash all the cars from the church, then at 5:00 am go to work. We worked long hours with very little food. My lunch to work was 2 pieces of bread with peanut butter and water. One of the jobs we went to for was Encore Events. We unloaded trucks,tables, chairs, etc. Greg from Encore events talked to Pastor Jose and told him that encore events was paying him $15,000.00 a month for 10 guys. A lot of money for Pastor Jose to send the guys to work with a crappy lunch. I was tired all the time. We had no privacy, too much noise, too much activities, to much work, to much worship, praying, reading for hours and hours. Too many chores, no time to rest, our minds were overloaded. You can not be by yourself at anytime, always in two’s, that’s called accountability. We are always tired, lack of sleep, not enough nutritious meals, with a lot of work, with no rest. And you have no choice you are forced to do it; they really treat you like a slave. You are forced to be silent. We are not allowed to talk, they silent you. They intimidate you, harass you, and scare you, until you submit. I think Pastor Jose never like me, because I was not submissive, loyal or wealthy. I always said I didn’t like it there. I was not allowed to say that. You were only allowed to say good things about the church. If you talked about the church business you would get in trouble. I was always in trouble, on discipline for talking. I faced public humiliation, harassment, intimidation, and they made fun of me, everybody was against everybody. They make up lies to fight each other. I was bullied; they made me feel worthless, like I was nothing. If you are not submissive, loyal, you get disciplined. They take away your visits and phone calls. You are not allowed to talk to your family. They create a lot of drama and conflict against each other. They create animosity, gossip, lies, and bully people around. I got bullied because of my heavy accent. According to them I’m not worthy and loyal. In my opinion, Victory Outreach church is a living hell, and Pastor Jose is the devil. We will continue our Expose on Victory Outreach tomorrow and the rest of the week. If you have any experience or know someone who does with Victory Outreach, feel free to comment, send in your story to us https://www.familiesagainstcultteachings.org/cult-help/contact.html and share this Expose with others.